Apart from giving thanks for all of the positive things we’ve experienced this year, Thanksgiving is a common time for sharing ideas. With the holiday near, we thought it might be helpful to provide tools for communicating the potential of Bitcoin with your friends and family. The following tips are meant to help an experienced Bitcoin person have a more thoughtful discussion with loved ones about the technology. While these tips are focused on Thanksgiving, they may also be useful to people around the globe at any holiday gathering. 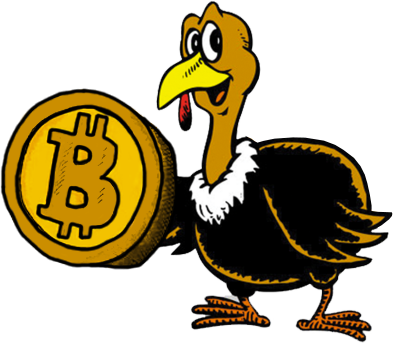 While this guide is meant to help you introduce Bitcoin around Thanksgiving, remember that this holiday is an unusual opportunity to share in the lives of your close and extended family. No matter what the idea is, people need time to adjust to new information. Even if your family knows you to be a Bitcoin enthusiast, and you read /r/bitcoin every day, downplaying your expertise (and belief Bitcoin’s importance) will allow everyone to join in the feeling of wonder over the course of discussion. The topic of Bitcoin commonly receives a bi-polar response. Some praise Bitcoin and others are starkly concerned. More common than either of these reactions is confusion. The word “Bitcoin” is known to many, but most people know almost nothing about it. When someone asks for your opinion on Bitcoin, begin by asking how they feel about it. If you take some time to understand what they know, including misperceptions, it will allow you to respond in a way that gives you the best opportunity to be understood. Given how quickly discussions can change, focus on Bitcoin’s high-level points first. (For example, see the Why section of the Bitcoin wiki) If you lead off with Side Chains, Smart Contracts or the recent pivoting of the Bitcoin Foundation you’re going to hear “pass the cranberry sauce” before you can share important basics. Many people believe that Bitcoin is only good for purchasing illegal items and serving as plunder of hackers. The media loves to report on the Silk Road, so this may be a loved one’s only exposure to the currency. The best thing you can do is to agree with what is true. For example, few would argue that illegal activity was not important to the establishment of market value for Bitcoin. By showing a reasonable regard for the reality of Bitcoin’s (sometimes) dark past, you are in a more authoritative position to discuss the technology’s future. One way to handle this subject is to remind your conversant partner that the Internet itself has provided the tools for revolution against autocracies, but it is also still used to steal the personal and financial information of millions. In some western countries, financial tools like credit cards are commonplace. Most people in the United States do not worry about the price of milk changing drastically week to week. However, not everyone is aware that the Argentine peso has suffered from hyperinflation, replacement and devaluation repeatedly over the past few decades. It also may be useful to remind someone that many adults around the world do not have bank accounts (50%). Smartphone adoption is growing quickly. Half of all people around the globe are expected to be using them by 2019. In many parts of the world, payments using Bitcoin or its technology offer the potential of allowing people to leapfrog traditional banking the way mobile phones have landlines. People who can not rely on their government to create a stable banking system anytime soon may be able to rely on Bitcoin in the meantime. By acknowledging that Bitcoin is not guaranteed to “work” you leave open the potential for learning. Not everything humans set out to do succeeds at first. Just ask Franz Reichelt. By leaving open the possibility Bitcoin itself may not work, it may allow new people to more thoughtfully consider why it just might. 1. Current Price – Preev.com. People are most often astonished by Bitcoin’s “high” value and sometimes-volatile price swings. Looking up the current price is an easy and fun thing for someone new to the technology. 2. Current News – Coindesk.com. Easy to consume and regularly updated with Bitcoin-specific news, Coindesk is quickly becoming the “TechCrunch of Bitcoin.” No matter your feelings about the site, it is a good place to start for a beginner interested in the currency. 3. “How do I get some?” – Coinbase.com is another common question once people have learned enough to want to play around with the technology. We believe Coinbase offers the best possible first experience for creating, filling and maintaining a Bitcoin wallet today. In closing, the entire Gliph team would like to share our thanks for all of the support provided by the Bitcoin community in 2014. Thank you, and Happy Thanksgiving! This entry was posted in Bitcoin, Gliph Community, special interest on November 26, 2014 by rob.